Limited Liability Partnership entities, the world wide recognized variety of business organization has been introduced in India by way of Limited Liability Partnership Act, 2008. Limited Liability Partnership, popularly called LLP combines the benefits of each Company and Partnership into a single form of organization. The main advantage of a Limited Liability Partnership over a standard partnership firm is that in a LLP, one partner isn't accountable or chargeable for another partner's misconduct or negligence. Every LLP shall have a minimum of two partners. 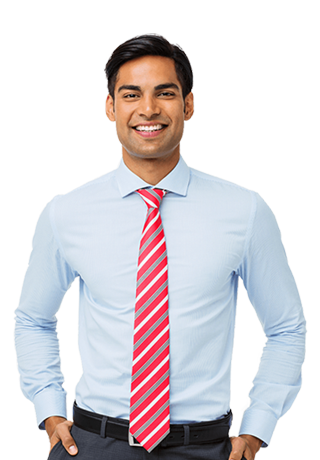 LLP is one in easiest form of business to incorporate and manage in India. With an easy incorporation method and simple compliance formalities, LLP is preferred by Professionals, for small businesses that are a family owned or closely-held. Glad e-filing is that the market leader in company registration services in India, we are offering a different kinds of company registration like private limited company registration, one person company registration, Nidhi Company Registration, Section 8 Company Registration , Producer Company Registration and Indian Subsidiary registration. The average time taken to complete a Limited Liability Partnership registration is about 15 - 20 working days, subject to MCA guidelines and client document submission. Get a free consultation on company registration and business setup in India by scheduling an appointment with a Glad e-filing consultant. A LLP doesn't need audit if it has less than Rs. 40 lakhs of turnover and less than Rs.25 lakhs of capital contribution. Therefore, LLPs are ideal for startups and small businesses. The partnership itself needs to file tax returns as a business that provides nice breaks for the company. However, every individual partner their share of profits in the firm is exempt from tax, and should file tax forms regarding the other income. An LLP is a form of separate legal business entity that gives the benefits of limited liability but allows its members the flexibility of organising their internal structure as a traditional partnership. Members who are companies will be liable to pay corporation tax on their share of profits. One of the best things of a Limited Liability Partnership is that there is no limit on the amount of owners that can be involved with the business. This is great because it evenly spreads out the amount of liability that every partner can have if something where to goes wrong with the business. The possession of a LLP may be simply transferred to another person by inducting them as a Partner of the LLP. The LLP is a separate legal entity and separate from its Partners, so by changing the Partners, the ownership of the LLP can be changed.